Doric or Tuscan columns are most commonly designed. 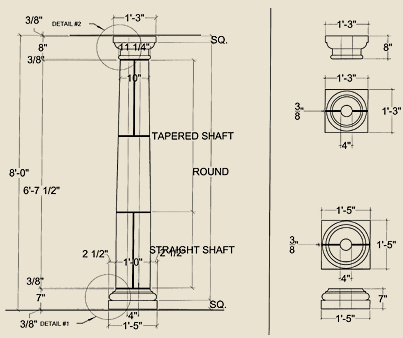 Columns are typically fabricated in 5 pieces to be joined horizontally: Cap and base are separate with the shaft in 3 pieces. 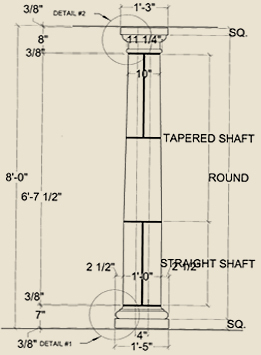 A one-piece shaft: Special block will have to be ordered and will make installation and handling more difficult. Cap and base designs such as Ionic, Corinthian, Temples of the Winds, etc. all have to be hand carved. Cored or cored and split columns allow for an internal support member. Cored and split columns are cored then turned and split to wrap around internal support. Cored and split columns can be set after structure is installed and near the later stages of construction. Cored columns have a solid appearance but must be set with structural member and protected from damage by other construction trades. 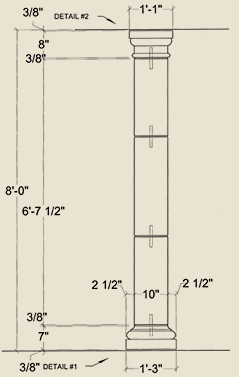 Square columns are generally more costly than turned columns. 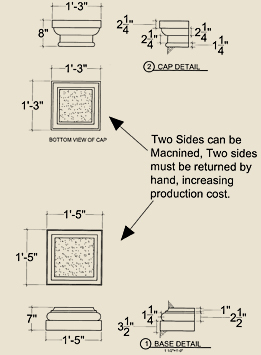 Producing molding on 4 sides of the cap and base is more time consuming. 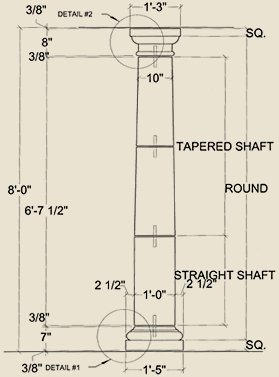 A tapered shaft will increase costs as well.